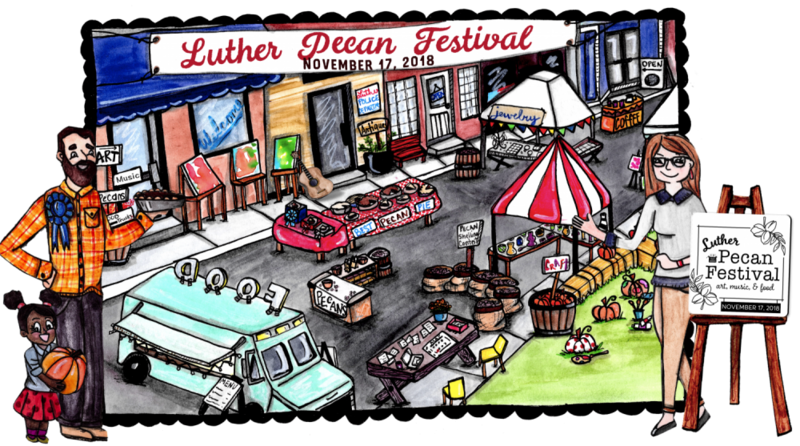 Join us for the Luther Pecan Festival, November 16, 2019. 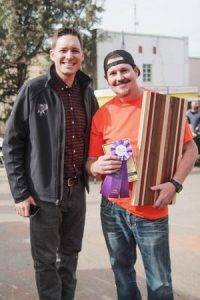 The Luther Pecan Festival began in 2017 as a new tradition born on Main Street of Luther, Oklahoma. Our incredible sponsors, world-class artists, the very best food trucks and most of all the thousands of people who came to our town gave us an inaugural festival beyond our dreams. The 2018 version of the Luther Pecan Festival was even better. It featured our local pecans and some of the best pecans from around the state with Benson Park Pecans, Miller Pecans, Deep Fork Foods and Lazy D Pecans. With more than fifty artists and food trucks, live music, kids zone, cookoff, carshow and more, come join us in Luther. Get a head start on your holiday shopping as the finest local artisans and curators set up shop right in the middle of Main Street – we have clothes boutiques, skincare products from goats and donkeys, art from sculptors, woodworkers and painters, jewelry, herbs and more. The live music stage is sponsored by Olsen Orthopedics with staging and hosting by Opus Entertainment. We are excited about our music offerings including the ON A WHIM band, featuring Luther’s Police Chief David Randall. Other acts include Parachute, Myoozik Aqui, Kyle Reid, Mad Honey, Red Grass String Band and Brooding. 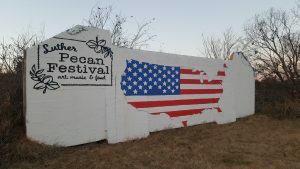 Check out this part of the old Route 66 Bridge at the shack, including the Pecan Fest logo.